The intersection of Dixie Drive and Elva Court will be closed at 6 a.m. Saturday, June 27 for water main work as part of the Dixie Drive widening project. The intersection is expected to be re-opened by the end of the day. 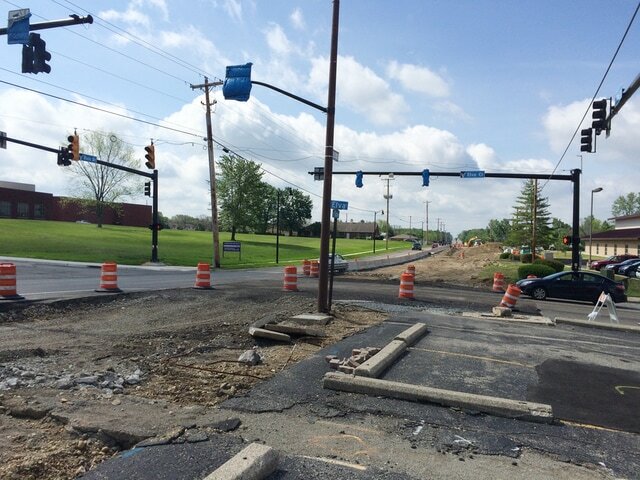 VANDALIA —Vandalia officials have announced that the intersection of Dixie Drive and Elva Court will close Saturday morning to make the final water main connections at the intersection. The intersection will close at 6 a.m. and be closed most of the day to complete. However, the intersection will reopen by the end of the day. Dixie Drive will remain open but drivers will not be able to turn onto Elva Court or enter Dixie Drive from Elva. The water main on Elva Court will be shut down between Dixie Drive and Gabriel St. at 8 a.m.
Vandalia Director of Public Service Rob Cron said on Friday that the heavy rain that is currently forecasted for Friday night and Saturday could delay the work. A decision will be made by the contractor early Saturday morning. “This needs to get done as it is critical to getting the project done on time,” said Cron. The relocation is part of the Dixie Drive widening project. The project continues to proceed with completion on track for August.